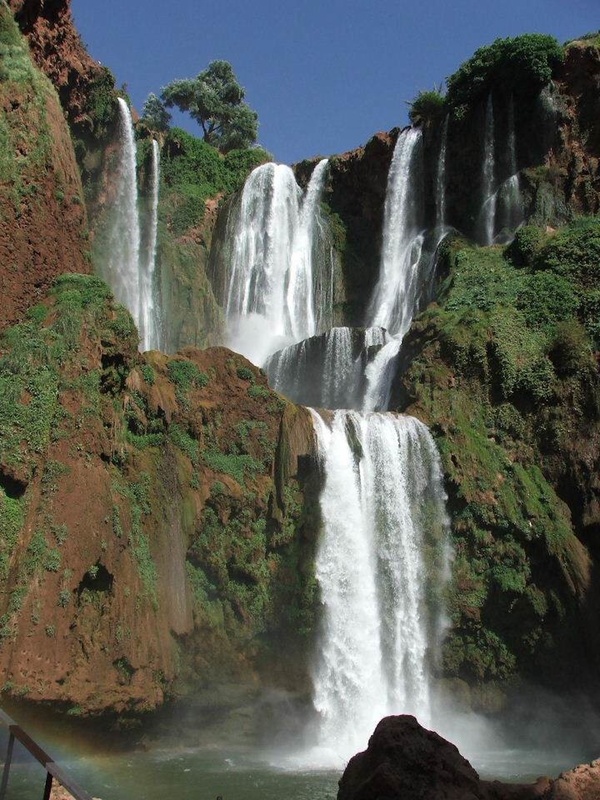 Think of Morocco and it’s likely that a desert image will spring to mind. 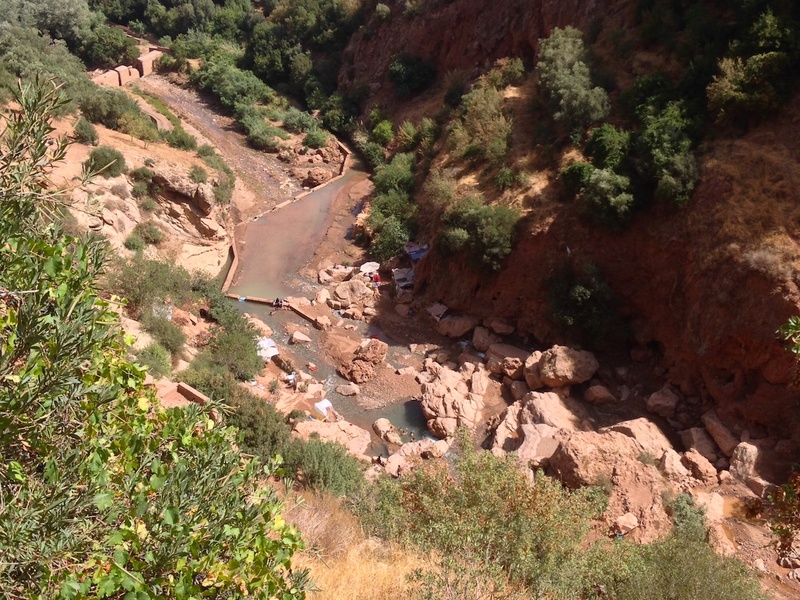 But the Atlas Mountains harbour one of the most spectacular waterfalls and natural resources in Africa. 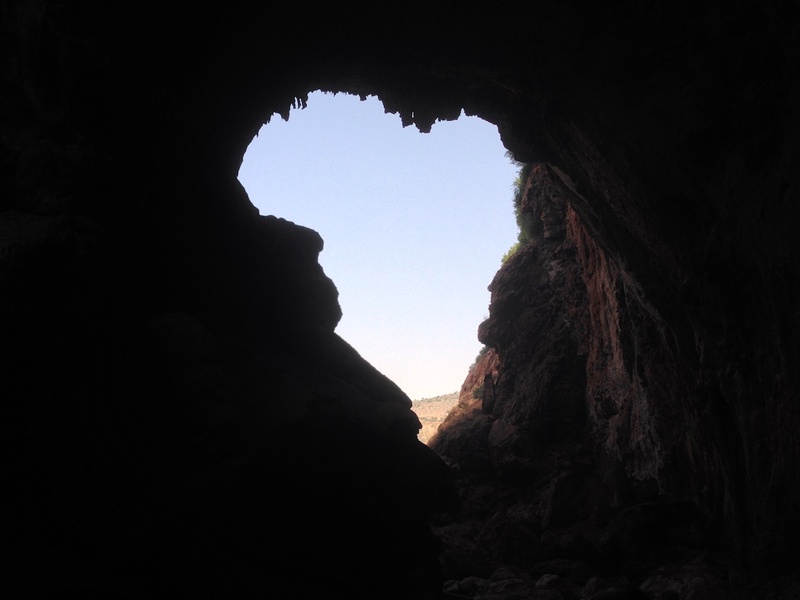 Join us for this exciting tour as we treat you to this photographer’s delight at Ouzoud. 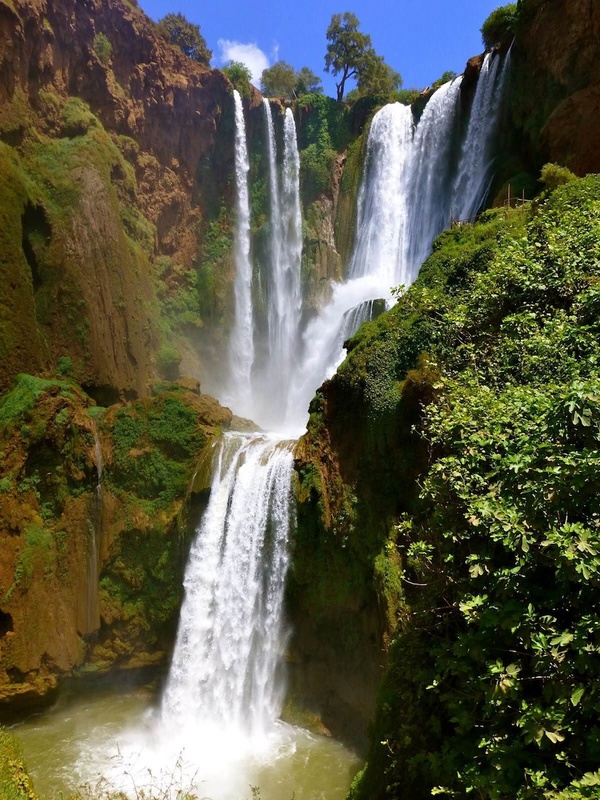 Our driver will meet you at your hotel or riad for an early departure, heading north east of Marrakech towards the West High Atlas National Park and the “Cascades d’Ouzoud” – the highest waterfalls in northern Africa. 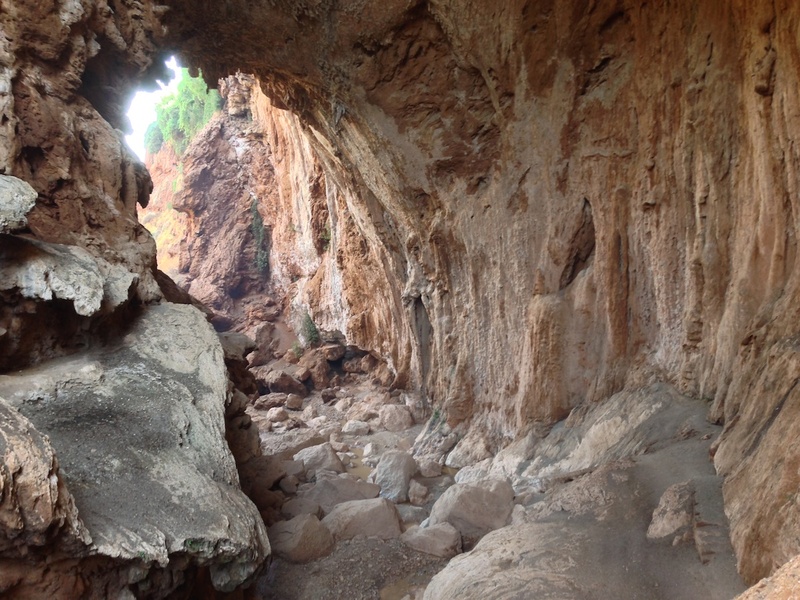 Passing through Demnate and its beautiful fields of olive tress, we drive towards the natural bridge of Imi N’Ifri where we can break for mint tea or a cool drink before descending on foot deep in to the ravine. 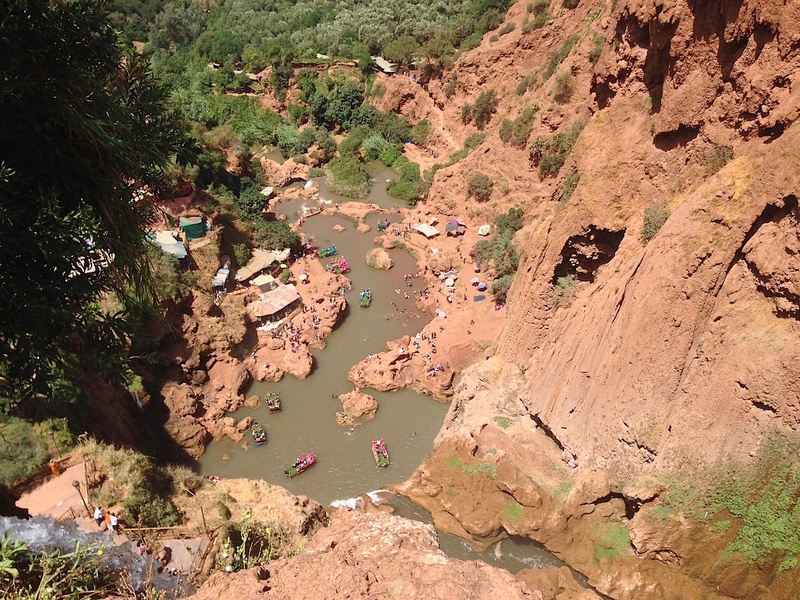 Yet another of Morocco's natural wonders, this short trek follows the base of the ravine until you emerge under a natural bridge which offers an outline of the African continent. This entire route is quite outstanding with its green valleys and amazing landscapes. 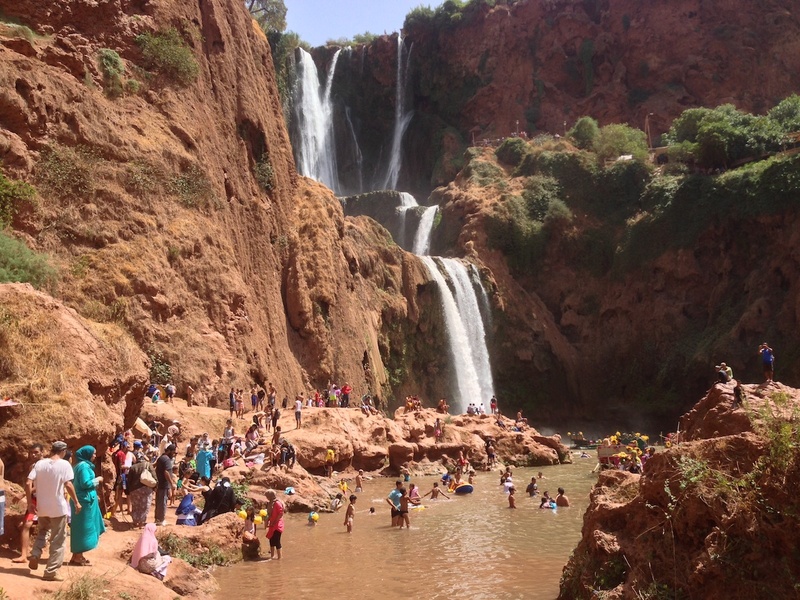 Our journey continues to the village of Tanaghmeilt and the Ouzoud Waterfalls (Cascades d’Ouzoud) – 110 metres in height and one of Morocco’s most spectacular natural beauty spots – where your professional guide will meet you. There are numerous places to pause for photography along the way. 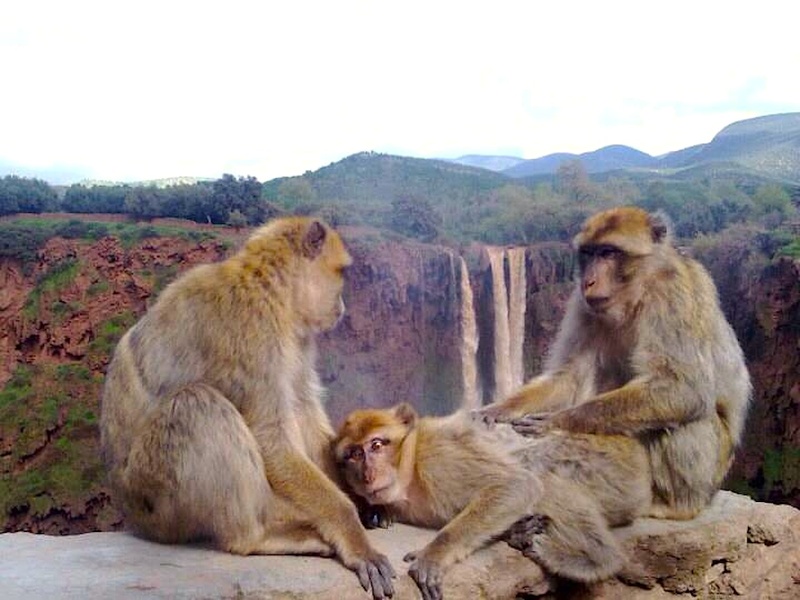 And, if you are lucky, you will catch a glimpse of some Barbary apes and even a rainbow that can form at the foot of the falls. 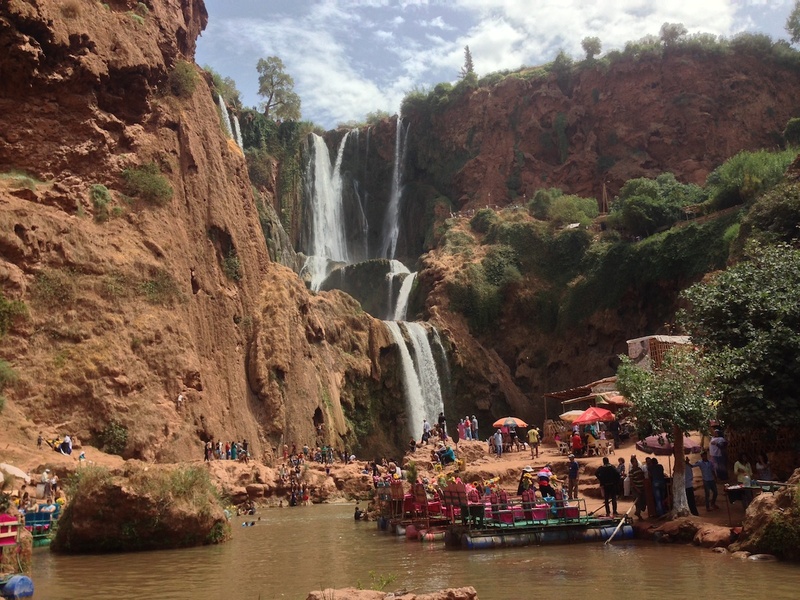 Bird watchers and walkers can enjoy a trip to the falls and the surrounding area at any time of the year – and it's a popular location with Moroccan families who enjoy the cool mountain water during the heat of the summer. There are numerous places to pause for lunch with commanding views over the falls from their terraces. 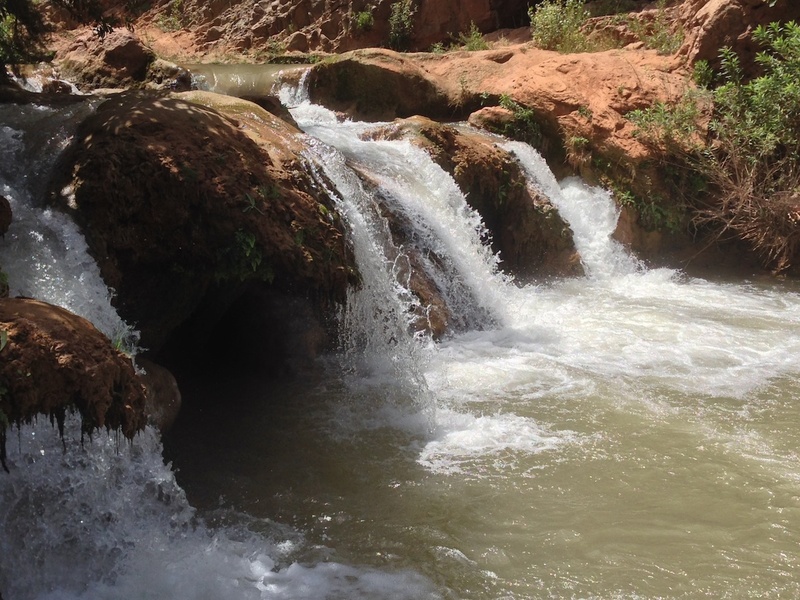 With the option of starting your tour at the foot of the waterfalls and working up along a track which follows the drops or vice versa, A short walk back to the foot of the falls takes us back to our vehicle and the drive back to Marrakech where we return you to your accommodation by early evening.